Morris followed that statement by scoring 12 of his team-leading 25 points with two rebounds and an assist in the fourth quarter, but Northern Arizona held on for a 113-108 victory Tuesday night at State Farm Arena. The loss was the third straight for the Vipers, who are 2-6 in their past eight games. Behind Morris’ fourth-quarter surge, the Vipers closed within 109-108 late. Two free throws by Davon Reed pushed the Suns lead back to three with 1:25 to play, and RGV couldn’t convert on its next three trips down the floor. Northern Arizona’s Xavier Silas added two more free throws to close the scoring. Morris finished with 27 points, 10 assists and seven rebounds. The Vipers were 12 of 23 from the line (52.2 percent), while Northern Arizona was 20 of 25 (80 percent). One game after giving up 152 points to Reno, RGV’s defense — at least according to some of the numbers — looked much better. Reno shot nearly 60 percent from the floor, while Northern Arizona was held to just under 50 percent and scored 39 fewer points than Reno. Still, Vipers coach Matt Brase inferred that more than the numbers determine how well the defense plays. The Vipers made run after run, coming back several times from eight to 12 points down. On more than one occasion, RGV’s run looked as if it may last long enough to reclaim the lead. But each time, Arizona found a way to end the skid before that happened. The Vipers jumped out from the start and led 8-2 behind 3-pointers from Morris and R.J. Hunter. Arizona’s Eric Peters responded with a 3-pointer, and Josh Gray added a four-point play to give the Suns a 9-8 lead. They wouldn’t trail the remainder of the game. The Suns led 95-85 after Peter Jok hit a 3-pointer from the corner to open the fourth-quarter scoring. The Vipers responded with an 8-2 run, highlighted by a 3-pointer and scoring drive to the basket from Morris. Chinanu Onuaku was in foul trouble for the second straight game and played only 13 minutes, fouling out with 6:59 remaining in the fourth quarter and earning an ejection after two quick technical fouls. Still, the Vipers made another run. 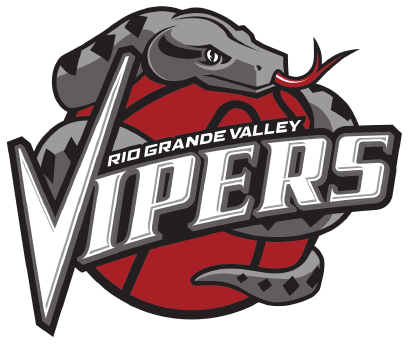 After Morris closed RGV to within 104-101, the Vipers’ Zhou Qi was called for a foul after a Shaquille Harrison basket, giving him a 3-point opportunity. The Vipers appealed the call, and it was overturned. The joy was short-lived, however, as Josh Gray was left wide open at the top of the key and drilled a 3-pointer for a 107-101 lead. Tyler Lydon scored 21 points and had eight rebounds and a pair of assists for the Vipers, while Hunter scored 25 but was just 5 for 17 from beyond the arc.